Anterior: (a) pericardium and its contents, (b) bifurcationof the trachea, and (c) pulmonary vessels. 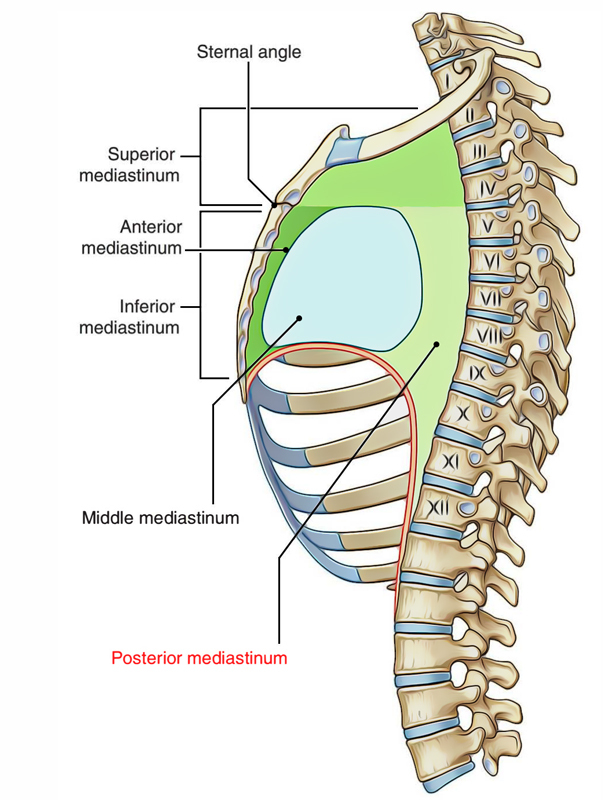 Posterior: Bodies of lower 8 thoracic vertebrae andintervening intervertebral discs. Superior: Transverse thoracic plane separating superiormediastinum from the inferior mediastinum. 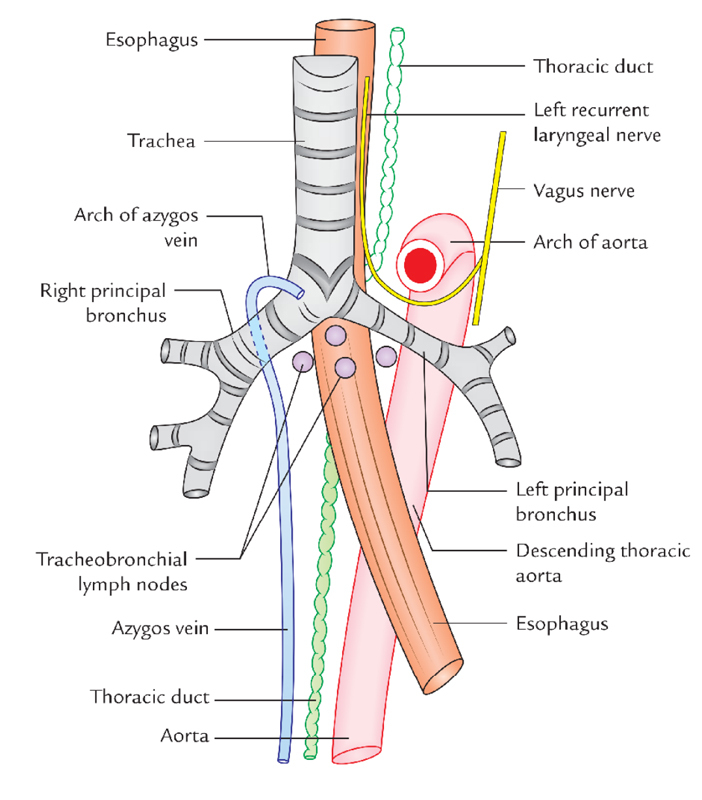 3) Descending thoracic aorta and its branches. 4) Azygos, hemiazygos, and accessory hemiazygos veins. 6) Sympathetic trunks and splanchnic nerves. 7) Posterior mediastinal lymph nodes.